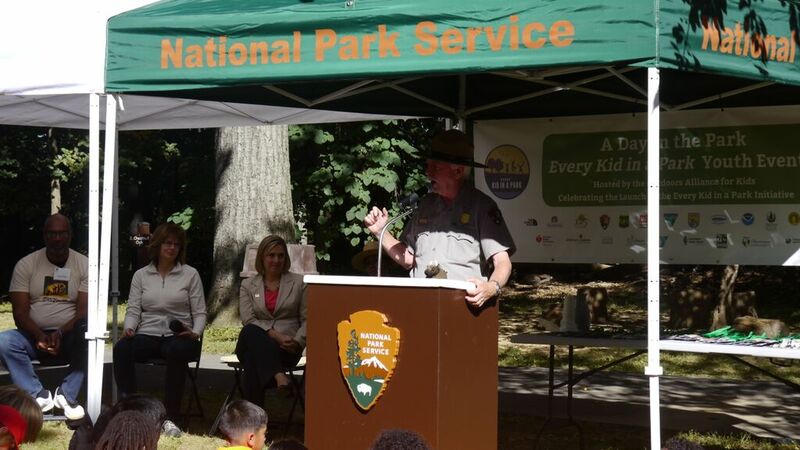 Washington, D.C.– Today, the Department of the Interior is expected to announce that despite news reports that the program was in danger of being cancelled, it will continue the popular, successful Every Kid in a Park program. 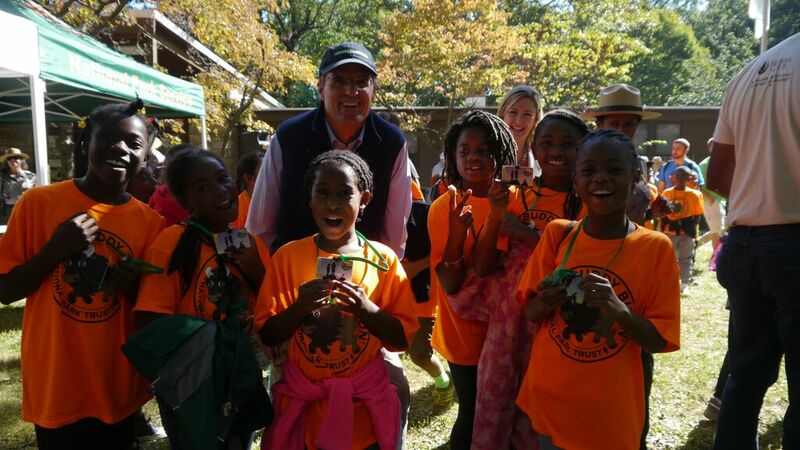 Every Kid in a Park allows every fourth grader in the U.S. to visit their national parks. Since the program began, millions of fourth graders have downloaded their park pass voucher and visited a national park, many for the first time. The Outdoors Alliance for Kids delivered over 15,000 comments in support of the program to Secretary Ryan Zinke, including 1,000 handwritten postcards from children. More than 70 member organizations and allies to the Outdoors Alliance for Kids also called on Secretary Zinke to continue the Every Kid in a Park program in a letter sent this week. “The Alliance for Childhood supports children’s healthy development, love of learning and joy in living, especially through child-initiated, outdoor play in nature. The Every Kid in a Park program provides equitable opportunities for fourth graders to experience active play in our natural world. Continuing this program will support life changing developmental opportunities for the children who need it most. Together with our OAK partners, we are committed to ensuring the success of this incredibly impactful model program. 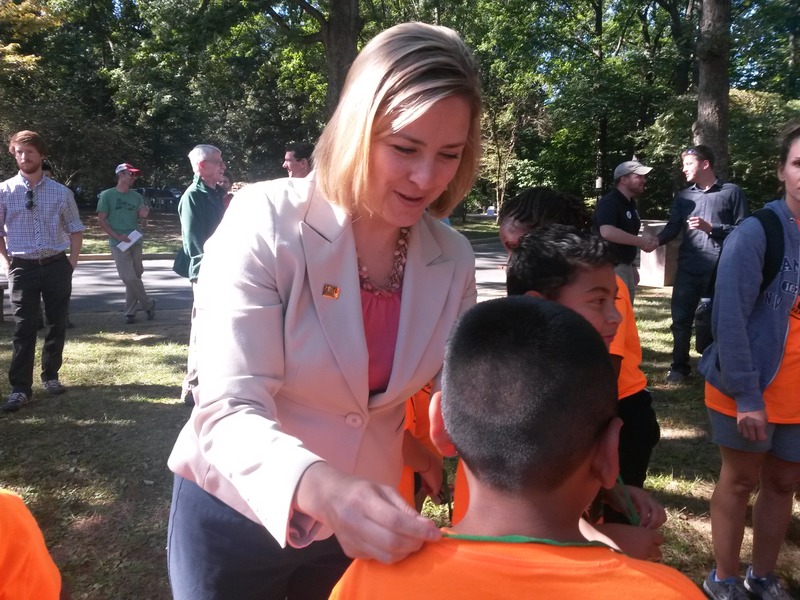 With bipartisan support, we look forward to working with members of Congress to pass the Every Kid Outdoors Act to ensure the future of the Every Kid in a Park program,” said Linda Rhoads, Executive Director, Alliance for Childhood. Give me an O. A. K.
Give me an O. Give me an A. Give me a K. What’s that spell? 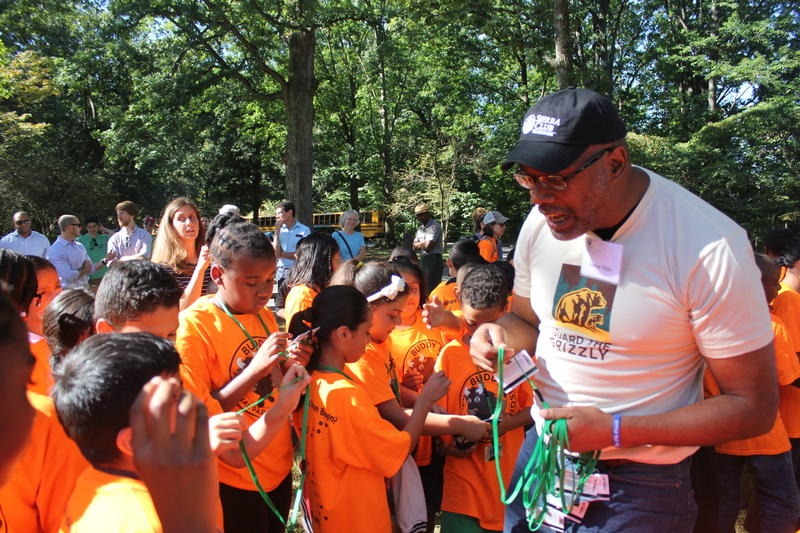 “OAK” cheered 100s of fourth graders at Rock Creek Park in Washington, DC, on Tuesday during an annual meeting of the Outdoors Alliance for Kids. This week was OAK’s fourth annual membership meeting and members from across the country gathered to celebrate the recent launch of President Obama’s Every Kid in a Park initiative, participate in a strategy meeting, and take to Capitol Hill to advocate for programs and policies that connect children and youth with the outdoors. 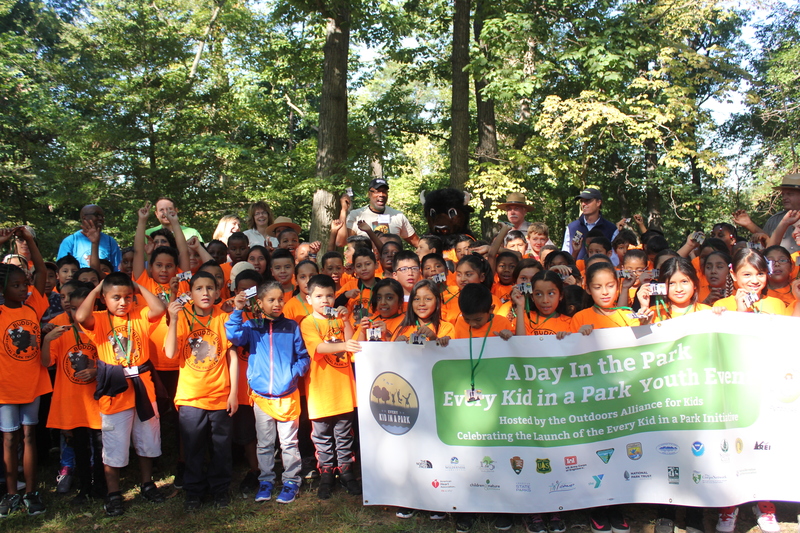 Connecting 100 fourth graders from local Title 1 schools with an opportunity to Find Your Park was the highlight of the week for us, an important reminder of why we do what we do. Hundreds of smiling faces gathered acorns (OAK seeds) and took to the trail after receiving their Every Kid in a Park passes that will give them free entry to our federal lands, waters and shores for an entire year. 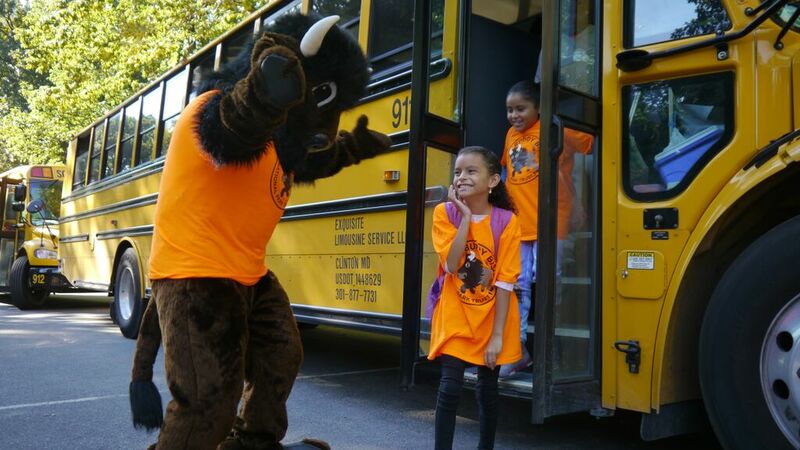 Big thanks to Rock Creek Park and OAK member, National Park Trust for organizing the kids and bringing out the National Park Service mascot, Buddy Bison. During the event we had the honor of hearing from Christy Goldfuss, Managing Director for the White House Council on Environmental Quality, Jonathan B. Jarvis, Director of the National Park Service, Kristin Bail, Assistant Director for National Conservation Lands and Partnerships at the Bureau of Land Management, Tara Morrison, Superintendent of Rock Creek Park, Aaron Mair, President of the Sierra Club and Jamie Williams, President of The Wilderness Society. 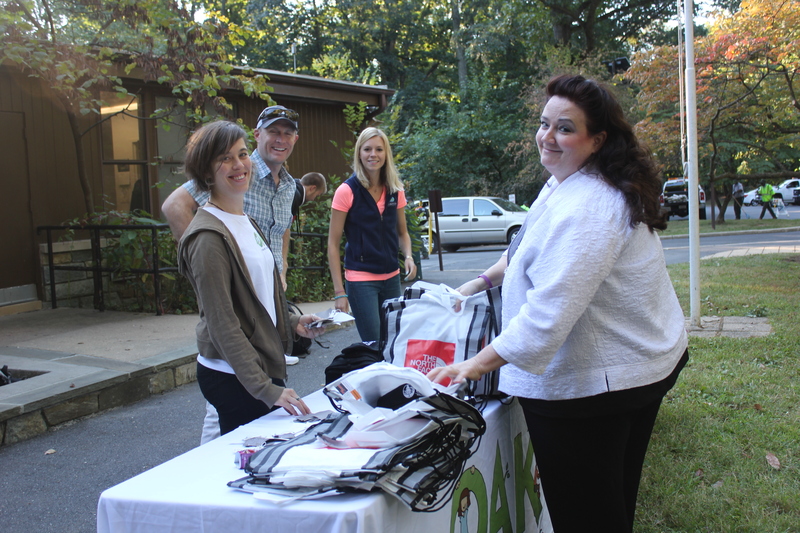 Dozens of additional OAK members helped to make the day a success including Izaak Walton League of America and the American Camp Association. Special thanks to REI and The North Face for providing the kids with bags, snacks and water bottles. Sierra Club President Aaron Mair gives 4th graders their passes. “Getting outdoors with your family is fun, but it’s more than that. Because if you take care of nature, it will take care of you,” said Jamie Williams, President of The Wilderness Society. Behind the scenes. The OAK members that make it all happen. During the week, members of OAK’s steering committee also signed a Memorandum of Understanding with several bureaus of the Department of the Interior, making a commitment to collaborate to get more kids outdoors on public lands and waters. 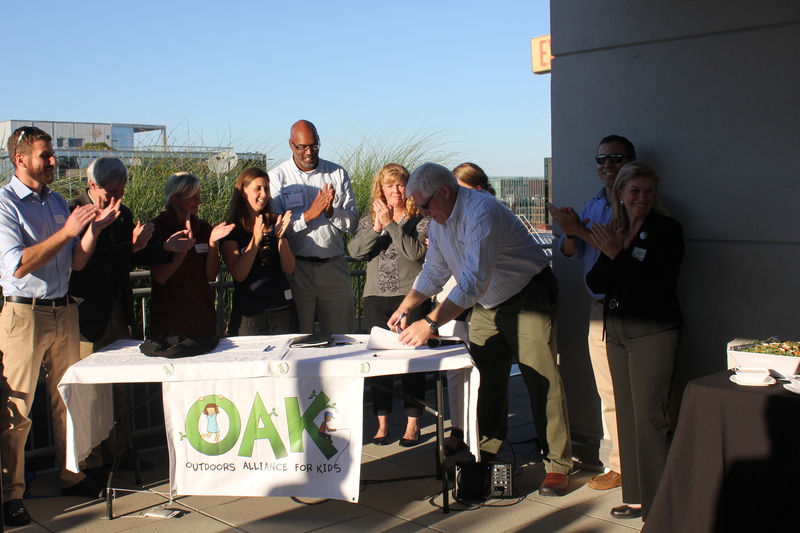 OAK steering committee members gather with the Federal Interagency Council on Outdoor Recreation on the rooftop of the YMCA of the USA to put pen to paper and make this partnership official. We also rolled up our sleeves to strategize about how we’ll start moving our efforts onto the ground. OAK members learned more about some of our city strategies including Every Kid in a Park, Let’s Move! Outside and the Cities Connecting Children with Nature projects. 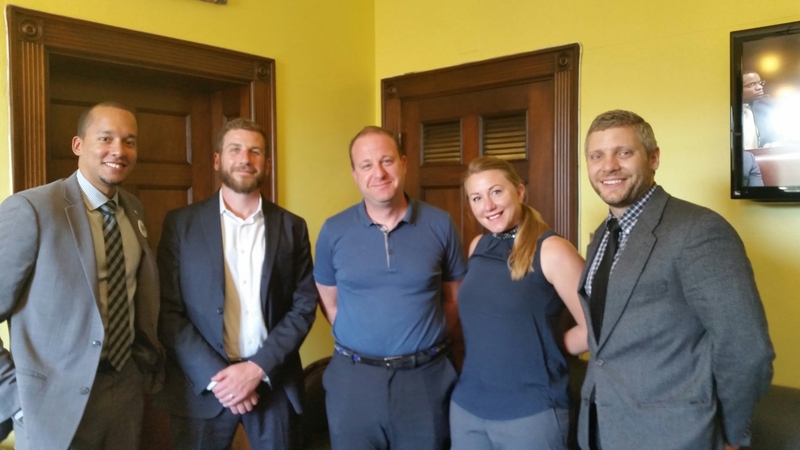 OAK members meeting with Colorado Congressman Jared Polis during annual advocacy day. 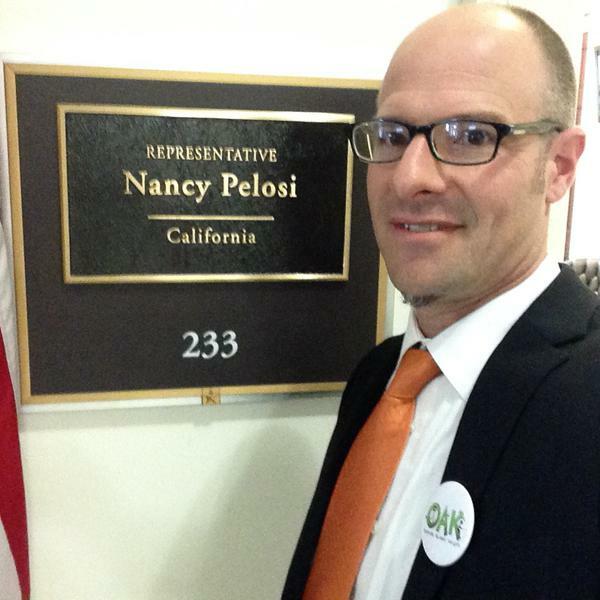 Kyle MacDonald of The Outdoors Empowered Network (OAK Member) on Capitol Hill for advocacy day. Finally, we let members of Congress know that we need them to invest in our kids. During our annual Hill day, OAK members educated members of Congress about the Transportation Reauthorization, the Land and Water Conservation Fund and the 21st Century Conservation Service Corps Act.